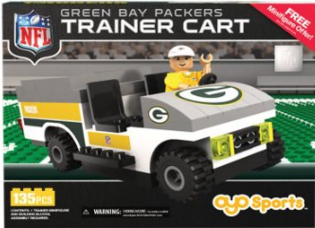 The 135-piece OYO NFL Buildable Athletic Trainer Cart * is a great gift for the Athletic Trainer in your life! It is available for all NFL teams. * The above link is Essentially Sports Medicine's affiliate link.